Searching for a new Mercedes in Colorado Springs, Denver, or Pueblo? Mercedes-Benz of Colorado Springs has the biggest inventory of new Mercedes like the 2019 Mercedes-Benz C-Class, 2019 Mercedes-Benz E-Class, or 2019 Mercedes-Benz GLS. If you have any questions, please call us at 855-349-2827 or stop our Mercedes dealership for a test drive! ORGINAL MSRP $45,925 Discount of $8,000+ Moonroof, Heated Seats, CD Player, Dual Zone A/C, Remote Engine Start, SMARTPHONE INTEGRATION PACKAGE. Polar White exterior and Black interior, C 300 trim. FUEL EFFICIENT 32 MPG Hwy/23 MPG City! CLICK NOW! KEY FEATURES INCLUDE Sunroof, Full-Time 4MATIC® All-Wheel Drive, Back-Up Camera, Turbocharged, iPod/MP3 Input, CD Player, Onboard Communications System, Remote Engine Start, Dual Zone A/C MP3 Player, Child Safety Locks, Steering Wheel Controls, Electronic Stability Control, Heated Mirrors. OPTION PACKAGES LEATHER SEATING PACKAGE Power Passenger Seat w/3-Position Memory, adjustable thigh support, PREMIUM PACKAGE KEYLESS GO®, Blind Spot Assist, SiriusXM Satellite Radio, HEATED FRONT SEATS, WHEELS: 18 TWIN 5-SPOKE Tires: P225/45R18 Fr & P245/40R18 Rr, SMARTPHONE INTEGRATION PACKAGE Android Auto, Apple CarPlay, Smartphone Integration. Mercedes-Benz C 300 with Polar White exterior and Black interior features a 4 Cylinder Engine with 241 HP at 5550 RPM*. VEHICLE REVIEWS Edmunds.com's review says The steering effort is appropriately light in parking lots and firms up on the highway for greater stability. It's very precise and predictable with a decent amount of feedback for a luxury-focused car.. Great Gas Mileage: 32 MPG Hwy. BUY FROM AN AWARD WINNING DEALER Welcome to Mercedes-Benz of Colorado Springs. Thank you for taking a moment to view this vehicle. We are one click away for a live chat, send an email, call or visit in person. Whether you are visiting to gather information, search for a new or pre-owned vehicle, we hope to provide the highest level of assistance. Please feel free to request additional information or set up an appointment. We're here to make your shopping simple. Horsepower calculations based on trim engine configuration. Fuel economy calculations based on original manufacturer data for trim engine configuration. Please confirm the accuracy of the included equipment by calling us prior to purchase. Offer is valid through 2019-04-24.ORGINAL MSRP $45,925 Discount of $8,000+ Moonroof, Heated Seats, CD Player, Dual Zone A/C, Remote Engine Start, SMARTPHONE INTEGRATION PACKAGE. Polar White exterior and Black interior, C 300 trim. FUEL EFFICIENT 32 MPG Hwy/23 MPG City! CLICK NOW! Sunroof, Full-Time 4MATIC® All-Wheel Drive, Back-Up Camera, Turbocharged, iPod/MP3 Input, CD Player, Onboard Communications System, Remote Engine Start, Dual Zone A/C MP3 Player, Child Safety Locks, Steering Wheel Controls, Electronic Stability Control, Heated Mirrors. LEATHER SEATING PACKAGE Power Passenger Seat w/3-Position Memory, adjustable thigh support, PREMIUM PACKAGE KEYLESS GO®, Blind Spot Assist, SiriusXM Satellite Radio, HEATED FRONT SEATS, WHEELS: 18 TWIN 5-SPOKE Tires: P225/45R18 Fr & P245/40R18 Rr, SMARTPHONE INTEGRATION PACKAGE Android Auto, Apple CarPlay, Smartphone Integration. Mercedes-Benz C 300 with Polar White exterior and Black interior features a 4 Cylinder Engine with 241 HP at 5550 RPM*. Discount over $3,600 with lease payment of $419 with $2999 down with approved credit, Moonroof, Remote Engine Start, Back-Up Camera, FULL LED HEADLAMPS. GLA 250 trim, Polar White exterior and Sahara Beige interior. EPA 31 MPG Hwy/23 MPG City! KEY FEATURES INCLUDE Full-Time 4MATIC® All-Wheel Drive, Power Liftgate, Back-Up Camera, Turbocharged, Flex Fuel, iPod/MP3 Input, CD Player, Onboard Communications System, Remote Engine Start, Dual Zone A/C Rear Spoiler, MP3 Player, Privacy Glass, Child Safety Locks, Steering Wheel Controls. OPTION PACKAGES PREMIUM PACKAGE KEYLESS GO®, Blind Spot Assist, Heated Front Seats, SIRIUSXM Satellite Radio, HANDS-FREE ACCESS, PANORAMA SUNROOF, FULL LED HEADLAMPS, WHEELS: 19 5-TWIN-SPOKE, MATTE BLACK Tires: 235/45R19 All-Season, CONVENIENCE PACKAGE Garage Door Opener, Auto-Dimming Rearview & Driver-Side Mirrors, SMARTPHONE INTEGRATION Android Auto, Apple CarPlay, Smartphone Integration (14U). Mercedes-Benz GLA 250 with Polar White exterior and Sahara Beige interior features a 4 Cylinder Engine with 208 HP at 5500 RPM*. VEHICLE REVIEWS Great Gas Mileage: 31 MPG Hwy. BUY FROM AN AWARD WINNING DEALER Welcome to Mercedes-Benz of Colorado Springs. Thank you for taking a moment to view this vehicle. We are one click away for a live chat, send an email, call or visit in person. Whether you are visiting to gather information, search for a new or pre-owned vehicle, we hope to provide the highest level of assistance. Please feel free to request additional information or set up an appointment. We're here to make your shopping simple. Horsepower calculations based on trim engine configuration. Fuel economy calculations based on original manufacturer data for trim engine configuration. Please confirm the accuracy of the included equipment by calling us prior to purchase. Offer is valid through 2019-04-24.Discount over $3,600 with lease payment of $419 with $2999 down with approved credit, Moonroof, Remote Engine Start, Back-Up Camera, FULL LED HEADLAMPS. GLA 250 trim, Polar White exterior and Sahara Beige interior. EPA 31 MPG Hwy/23 MPG City! ORGINAL MSRP $53,455, Discount of $10,000, Moonroof, Heated Seats, Full-Time 4MATIC® All-Wheel Drive, Back-Up Camera. EPA 31 MPG Hwy/24 MPG City! C 300 trim, Brilliant Blue Metallic exterior and Crystal Grey/Black interior. CLICK ME! KEY FEATURES INCLUDE Full-Time 4MATIC® All-Wheel Drive, Back-Up Camera, Turbocharged, iPod/MP3 Input, Onboard Communications System, Dual Zone A/C. Child Safety Locks, Steering Wheel Controls, Heated Mirrors, Electronic Stability Control, Bucket Seats. OPTION PACKAGES PREMIUM 3 PACKAGE: COMAND® Single CD/DVD, KEYLESS GO® Control Code, 8.4 High-Resolution Screen, Static LED Headlamps, Navigation Map Updates Included For 3 Years, Burmester Surround Sound System, COMAND® Navigation & Voice Control, 8.4 high-resolution color screen, Illuminated Door Sills, KEYLESS GO®, Ambient Lighting, Entrance Lamps in Doors, Blind Spot Assist, SiriusXM Satellite Radio, Touchpad, HANDS-FREE ACCESS, Electronic Trunk Closer, 5-Year SiriusXM Traffic & Weather Service, LEATHER INTERIOR PACKAGE: Power Passenger Seat w/Memory, adjustable thigh support, PANORAMA SUNROOF, HEATED FRONT SEATS, REAR DECK SPOILER, HEATED STEERING WHEEL, WHEELS: 17 SPLIT 5-SPOKE (STD). Serviced by Mercedes Certified Technicians. EXPERTS ARE SAYING Great Gas Mileage: 31 MPG Hwy. BUY FROM AN AWARD WINNING DEALER Welcome to Mercedes-Benz of Colorado Springs. Thank you for taking a moment to view this vehicle. We are one click away for a live chat, send an email, call or visit in person. Whether you are visiting to gather information, search for a new or pre-owned vehicle, we hope to provide the highest level of assistance. Please feel free to request additional information or set up an appointment. We're here to make your shopping simple. Horsepower calculations based on trim engine configuration. Fuel economy calculations based on original manufacturer data for trim engine configuration. Please confirm the accuracy of the included equipment by calling us prior to purchase. Offer is valid through 2019-04-24.ORGINAL MSRP $53,455, Discount of $10,000, Moonroof, Heated Seats, Full-Time 4MATIC® All-Wheel Drive, Back-Up Camera. EPA 31 MPG Hwy/24 MPG City! C 300 trim, Brilliant Blue Metallic exterior and Crystal Grey/Black interior. CLICK ME! Full-Time 4MATIC® All-Wheel Drive, Back-Up Camera, Turbocharged, iPod/MP3 Input, Onboard Communications System, Dual Zone A/C. Child Safety Locks, Steering Wheel Controls, Heated Mirrors, Electronic Stability Control, Bucket Seats. PREMIUM 3 PACKAGE: COMAND® Single CD/DVD, KEYLESS GO® Control Code, 8.4 High-Resolution Screen, Static LED Headlamps, Navigation Map Updates Included For 3 Years, Burmester Surround Sound System, COMAND® Navigation & Voice Control, 8.4 high-resolution color screen, Illuminated Door Sills, KEYLESS GO®, Ambient Lighting, Entrance Lamps in Doors, Blind Spot Assist, SiriusXM Satellite Radio, Touchpad, HANDS-FREE ACCESS, Electronic Trunk Closer, 5-Year SiriusXM Traffic & Weather Service, LEATHER INTERIOR PACKAGE: Power Passenger Seat w/Memory, adjustable thigh support, PANORAMA SUNROOF, HEATED FRONT SEATS, REAR DECK SPOILER, HEATED STEERING WHEEL, WHEELS: 17 SPLIT 5-SPOKE (STD). Serviced by Mercedes Certified Technicians. Polar White exterior and Crystal Grey interior, CLA 250 trim. EPA 32 MPG Hwy/24 MPG City! CD Player, iPod/MP3 Input, Onboard Communications System, Dual Zone A/C, Remote Engine Start, Flex Fuel, SMARTPHONE INTEGRATION READ MORE! KEY FEATURES INCLUDE Full-Time 4MATIC® All-Wheel Drive, Back-Up Camera, Turbocharged, Flex Fuel, iPod/MP3 Input, CD Player, Onboard Communications System, Remote Engine Start, Dual Zone A/C MP3 Player, Child Safety Locks, Steering Wheel Controls, Heated Mirrors, Electronic Stability Control. OPTION PACKAGES PREMIUM PACKAGE KEYLESS GO®, Blind Spot Assist, Heated Front Seats, SiriusXM Satellite Radio, HANDS-FREE ACCESS, LED HEADLAMPS, CONVENIENCE PACKAGE Garage Door Opener, Auto-Dimming Rearview & Driver-Side Mirrors, SMARTPHONE INTEGRATION Android Auto, Apple CarPlay, Smartphone Integration (14U), WHEELS: 17 5-SPOKE ALLOY (STD). Mercedes-Benz CLA 250 with Polar White exterior and Crystal Grey interior features a 4 Cylinder Engine with 208 HP at 5500 RPM*. EXPERTS RAVE Great Gas Mileage: 32 MPG Hwy. BUY FROM AN AWARD WINNING DEALER Welcome to Mercedes-Benz of Colorado Springs. Thank you for taking a moment to view this vehicle. We are one click away for a live chat, send an email, call or visit in person. Whether you are visiting to gather information, search for a new or pre-owned vehicle, we hope to provide the highest level of assistance. Please feel free to request additional information or set up an appointment. We're here to make your shopping simple. Horsepower calculations based on trim engine configuration. Fuel economy calculations based on original manufacturer data for trim engine configuration. Please confirm the accuracy of the included equipment by calling us prior to purchase. Offer is valid through 2019-04-24.Polar White exterior and Crystal Grey interior, CLA 250 trim. EPA 32 MPG Hwy/24 MPG City! CD Player, iPod/MP3 Input, Onboard Communications System, Dual Zone A/C, Remote Engine Start, Flex Fuel, SMARTPHONE INTEGRATION READ MORE! Full-Time 4MATIC® All-Wheel Drive, Back-Up Camera, Turbocharged, Flex Fuel, iPod/MP3 Input, CD Player, Onboard Communications System, Remote Engine Start, Dual Zone A/C MP3 Player, Child Safety Locks, Steering Wheel Controls, Heated Mirrors, Electronic Stability Control. PREMIUM PACKAGE KEYLESS GO®, Blind Spot Assist, Heated Front Seats, SiriusXM Satellite Radio, HANDS-FREE ACCESS, LED HEADLAMPS, CONVENIENCE PACKAGE Garage Door Opener, Auto-Dimming Rearview & Driver-Side Mirrors, SMARTPHONE INTEGRATION Android Auto, Apple CarPlay, Smartphone Integration (14U), WHEELS: 17 5-SPOKE ALLOY (STD). Mercedes-Benz CLA 250 with Polar White exterior and Crystal Grey interior features a 4 Cylinder Engine with 208 HP at 5500 RPM*. Night Black exterior and Black interior, CLA 250 trim. CD Player, iPod/MP3 Input, Onboard Communications System, Dual Zone A/C, Remote Engine Start, Flex Fuel, SMARTPHONE INTEGRATION, PREMIUM PACKAGE, CONVENIENCE PACKAGE, LED HEADLAMPS, WHEELS: 17 5-SPOKE ALLOY, Back-Up Camera, Full-Time 4MATIC® All-Wheel Drive, Aluminum Wheels, Turbo Charged Engine. EPA 32 MPG Hwy/24 MPG City! AND MORE! KEY FEATURES INCLUDE Full-Time 4MATIC® All-Wheel Drive, Back-Up Camera, Turbocharged, Flex Fuel, iPod/MP3 Input, CD Player, Onboard Communications System, Remote Engine Start, Dual Zone A/C MP3 Player, Child Safety Locks, Steering Wheel Controls, Heated Mirrors, Electronic Stability Control. OPTION PACKAGES PREMIUM PACKAGE KEYLESS GO®, Blind Spot Assist, Heated Front Seats, SiriusXM Satellite Radio, HANDS-FREE ACCESS, LED HEADLAMPS, CONVENIENCE PACKAGE Garage Door Opener, Auto-Dimming Rearview & Driver-Side Mirrors, SMARTPHONE INTEGRATION Android Auto, Apple CarPlay, Smartphone Integration (14U), WHEELS: 17 5-SPOKE ALLOY (STD). Mercedes-Benz CLA 250 with Night Black exterior and Black interior features a 4 Cylinder Engine with 208 HP at 5500 RPM*. EXPERTS REPORT Great Gas Mileage: 32 MPG Hwy. WHO WE ARE Welcome to Mercedes-Benz of Colorado Springs. Thank you for taking a moment to view this vehicle. We are one click away for a live chat, send an email, call or visit in person. Whether you are visiting to gather information, search for a new or pre-owned vehicle, we hope to provide the highest level of assistance. Please feel free to request additional information or set up an appointment. We're here to make your shopping simple. Horsepower calculations based on trim engine configuration. Fuel economy calculations based on original manufacturer data for trim engine configuration. Please confirm the accuracy of the included equipment by calling us prior to purchase. Offer is valid through 2019-04-24.Night Black exterior and Black interior, CLA 250 trim. CD Player, iPod/MP3 Input, Onboard Communications System, Dual Zone A/C, Remote Engine Start, Flex Fuel, SMARTPHONE INTEGRATION, PREMIUM PACKAGE, CONVENIENCE PACKAGE, LED HEADLAMPS, WHEELS: 17 5-SPOKE ALLOY, Back-Up Camera, Full-Time 4MATIC® All-Wheel Drive, Aluminum Wheels, Turbo Charged Engine. EPA 32 MPG Hwy/24 MPG City! AND MORE! PREMIUM PACKAGE KEYLESS GO®, Blind Spot Assist, Heated Front Seats, SiriusXM Satellite Radio, HANDS-FREE ACCESS, LED HEADLAMPS, CONVENIENCE PACKAGE Garage Door Opener, Auto-Dimming Rearview & Driver-Side Mirrors, SMARTPHONE INTEGRATION Android Auto, Apple CarPlay, Smartphone Integration (14U), WHEELS: 17 5-SPOKE ALLOY (STD). Mercedes-Benz CLA 250 with Night Black exterior and Black interior features a 4 Cylinder Engine with 208 HP at 5500 RPM*. CD Player, iPod/MP3 Input, Onboard Communications System, Dual Zone A/C, Remote Engine Start, Flex Fuel, SMARTPHONE INTEGRATION, PREMIUM PACKAGE, CONVENIENCE PACKAGE, LED HEADLAMPS, WHEELS: 17 5-SPOKE ALLOY, Back-Up Camera, Full-Time 4MATIC® All-Wheel Drive, Aluminum Wheels, Turbo Charged Engine. CLA 250 trim, Night Black exterior and Black interior. FUEL EFFICIENT 32 MPG Hwy/24 MPG City! SEE MORE! KEY FEATURES INCLUDE Full-Time 4MATIC® All-Wheel Drive, Back-Up Camera, Turbocharged, Flex Fuel, iPod/MP3 Input, CD Player, Onboard Communications System, Remote Engine Start, Dual Zone A/C MP3 Player, Child Safety Locks, Steering Wheel Controls, Heated Mirrors, Electronic Stability Control. OPTION PACKAGES PREMIUM PACKAGE KEYLESS GO®, Blind Spot Assist, Heated Front Seats, SiriusXM Satellite Radio, HANDS-FREE ACCESS, LED HEADLAMPS, CONVENIENCE PACKAGE Garage Door Opener, Auto-Dimming Rearview & Driver-Side Mirrors, SMARTPHONE INTEGRATION Android Auto, Apple CarPlay, Smartphone Integration (14U), WHEELS: 17 5-SPOKE ALLOY (STD). Mercedes-Benz CLA 250 with Night Black exterior and Black interior features a 4 Cylinder Engine with 208 HP at 5500 RPM*. EXPERTS RAVE Great Gas Mileage: 32 MPG Hwy. 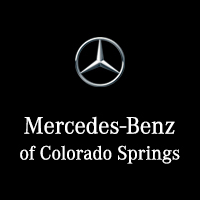 OUR OFFERINGS Welcome to Mercedes-Benz of Colorado Springs. Thank you for taking a moment to view this vehicle. We are one click away for a live chat, send an email, call or visit in person. Whether you are visiting to gather information, search for a new or pre-owned vehicle, we hope to provide the highest level of assistance. Please feel free to request additional information or set up an appointment. We're here to make your shopping simple. Horsepower calculations based on trim engine configuration. Fuel economy calculations based on original manufacturer data for trim engine configuration. Please confirm the accuracy of the included equipment by calling us prior to purchase. Offer is valid through 2019-04-24.CD Player, iPod/MP3 Input, Onboard Communications System, Dual Zone A/C, Remote Engine Start, Flex Fuel, SMARTPHONE INTEGRATION, PREMIUM PACKAGE, CONVENIENCE PACKAGE, LED HEADLAMPS, WHEELS: 17 5-SPOKE ALLOY, Back-Up Camera, Full-Time 4MATIC® All-Wheel Drive, Aluminum Wheels, Turbo Charged Engine. CLA 250 trim, Night Black exterior and Black interior. FUEL EFFICIENT 32 MPG Hwy/24 MPG City! SEE MORE! FUEL EFFICIENT 32 MPG Hwy/24 MPG City! Remote Engine Start, Dual Zone A/C, Onboard Communications System, Full-Time 4MATIC® All-Wheel Drive, WHEELS: 17 5-SPOKE ALLOY, Alloy Wheels, CD Player, iPod/MP3 Input, Back-Up Camera, KBB.com's review says It offers solid performance, good handling, and a cool style that closely resembles the much more expensive CLS.. Cirrus White exterior and Sahara Beige interior, CLA 250 trim. AND MORE! KEY FEATURES INCLUDE Full-Time 4MATIC® All-Wheel Drive, Back-Up Camera, iPod/MP3 Input, CD Player, Onboard Communications System, Remote Engine Start, Dual Zone A/C MP3 Player, Keyless Entry, Child Safety Locks, Steering Wheel Controls, Electronic Stability Control. OPTION PACKAGES WHEELS: 17 5-SPOKE ALLOY (STD). Mercedes-Benz CLA 250 with Cirrus White exterior and Sahara Beige interior features a 4 Cylinder Engine with 208 HP at 5500 RPM*. EXPERTS REPORT It offers solid performance, good handling, and a cool style that closely resembles the much more expensive CLS. -KBB.com. Great Gas Mileage: 32 MPG Hwy. BUY FROM AN AWARD WINNING DEALER Welcome to Mercedes-Benz of Colorado Springs. Thank you for taking a moment to view this vehicle. We are one click away for a live chat, send an email, call or visit in person. Whether you are visiting to gather information, search for a new or pre-owned vehicle, we hope to provide the highest level of assistance. Please feel free to request additional information or set up an appointment. We're here to make your shopping simple. Horsepower calculations based on trim engine configuration. Fuel economy calculations based on original manufacturer data for trim engine configuration. Please confirm the accuracy of the included equipment by calling us prior to purchase. Offer is valid through 2019-04-24.FUEL EFFICIENT 32 MPG Hwy/24 MPG City! Remote Engine Start, Dual Zone A/C, Onboard Communications System, Full-Time 4MATIC® All-Wheel Drive, WHEELS: 17 5-SPOKE ALLOY, Alloy Wheels, CD Player, iPod/MP3 Input, Back-Up Camera, KBB.com's review says It offers solid performance, good handling, and a cool style that closely resembles the much more expensive CLS.. Cirrus White exterior and Sahara Beige interior, CLA 250 trim. AND MORE! Moonroof, Flex Fuel, CD Player, iPod/MP3 Input, Dual Zone A/C, Remote Engine Start, Onboard Communications System, PANORAMA SUNROOF, SMARTPHONE INTEGRATION, REAR SPOILER, CONVENIENCE PACKAGE, PREMIUM PACKAGE, Full-Time 4MATIC® All-Wheel Drive, Back-Up Camera, WHEELS: 18 5-SPOKE ALLOY, Turbo Charged Engine. EPA 32 MPG Hwy/24 MPG City! CLA 250 trim, Night Black exterior and Black interior. CLICK ME! KEY FEATURES INCLUDE Full-Time 4MATIC® All-Wheel Drive, Back-Up Camera, Turbocharged, Flex Fuel, iPod/MP3 Input, CD Player, Onboard Communications System, Remote Engine Start, Dual Zone A/C. MP3 Player, Child Safety Locks, Steering Wheel Controls, Heated Mirrors, Electronic Stability Control. OPTION PACKAGES PREMIUM PACKAGE KEYLESS GO®, Blind Spot Assist, Heated Front Seats, SiriusXM Satellite Radio, HANDS-FREE ACCESS, PANORAMA SUNROOF, WHEELS: 18 5-SPOKE ALLOY Tires: P225/40R18, CONVENIENCE PACKAGE Garage Door Opener, Auto-Dimming Rearview & Driver-Side Mirrors, SMARTPHONE INTEGRATION Android Auto, Apple CarPlay, Smartphone Integration (14U), REAR SPOILER. Mercedes-Benz CLA 250 with Night Black exterior and Black interior features a 4 Cylinder Engine with 208 HP at 5500 RPM*. EXPERTS ARE SAYING Great Gas Mileage: 32 MPG Hwy. WHO WE ARE Welcome to Mercedes-Benz of Colorado Springs. Thank you for taking a moment to view this vehicle. We are one click away for a live chat, send an email, call or visit in person. Whether you are visiting to gather information, search for a new or pre-owned vehicle, we hope to provide the highest level of assistance. Please feel free to request additional information or set up an appointment. We're here to make your shopping simple. Horsepower calculations based on trim engine configuration. Fuel economy calculations based on original manufacturer data for trim engine configuration. Please confirm the accuracy of the included equipment by calling us prior to purchase. Offer is valid through 2019-04-24.Moonroof, Flex Fuel, CD Player, iPod/MP3 Input, Dual Zone A/C, Remote Engine Start, Onboard Communications System, PANORAMA SUNROOF, SMARTPHONE INTEGRATION, REAR SPOILER, CONVENIENCE PACKAGE, PREMIUM PACKAGE, Full-Time 4MATIC® All-Wheel Drive, Back-Up Camera, WHEELS: 18 5-SPOKE ALLOY, Turbo Charged Engine. EPA 32 MPG Hwy/24 MPG City! CLA 250 trim, Night Black exterior and Black interior. CLICK ME! Full-Time 4MATIC® All-Wheel Drive, Back-Up Camera, Turbocharged, Flex Fuel, iPod/MP3 Input, CD Player, Onboard Communications System, Remote Engine Start, Dual Zone A/C. MP3 Player, Child Safety Locks, Steering Wheel Controls, Heated Mirrors, Electronic Stability Control. PREMIUM PACKAGE KEYLESS GO®, Blind Spot Assist, Heated Front Seats, SiriusXM Satellite Radio, HANDS-FREE ACCESS, PANORAMA SUNROOF, WHEELS: 18 5-SPOKE ALLOY Tires: P225/40R18, CONVENIENCE PACKAGE Garage Door Opener, Auto-Dimming Rearview & Driver-Side Mirrors, SMARTPHONE INTEGRATION Android Auto, Apple CarPlay, Smartphone Integration (14U), REAR SPOILER. Mercedes-Benz CLA 250 with Night Black exterior and Black interior features a 4 Cylinder Engine with 208 HP at 5500 RPM*. Moonroof, iPod/MP3 Input, Flex Fuel, CD Player, Onboard Communications System, Remote Engine Start, Back-Up Camera, LED HEADLAMPS, SMARTPHONE INTEGRATION, CONVENIENCE PACKAGE, PANORAMA SUNROOF, PREMIUM PACKAGE, Full-Time 4MATIC® All-Wheel Drive, Turbo Charged, WHEELS: 17 5-SPOKE ALLOY, Aluminum Wheels. CLA 250 trim, Jupiter Red exterior and Crystal Grey interior. FUEL EFFICIENT 32 MPG Hwy/24 MPG City! CLICK NOW! KEY FEATURES INCLUDE Full-Time 4MATIC® All-Wheel Drive, Back-Up Camera, Turbocharged, Flex Fuel, iPod/MP3 Input, CD Player, Onboard Communications System, Remote Engine Start, Dual Zone A/C. MP3 Player, Steering Wheel Controls, Child Safety Locks, Electronic Stability Control, Heated Mirrors. OPTION PACKAGES PREMIUM PACKAGE KEYLESS GO®, Blind Spot Assist, Heated Front Seats, SiriusXM Satellite Radio, HANDS-FREE ACCESS, PANORAMA SUNROOF, LED HEADLAMPS, CONVENIENCE PACKAGE Garage Door Opener, Auto-Dimming Rearview & Driver-Side Mirrors, SMARTPHONE INTEGRATION Android Auto, Apple CarPlay, Smartphone Integration (14U), WHEELS: 17 5-SPOKE ALLOY (STD). Mercedes-Benz CLA 250 with Jupiter Red exterior and Crystal Grey interior features a 4 Cylinder Engine with 208 HP at 5500 RPM*. EXPERTS RAVE Great Gas Mileage: 32 MPG Hwy. MORE ABOUT US Welcome to Mercedes-Benz of Colorado Springs. Thank you for taking a moment to view this vehicle. We are one click away for a live chat, send an email, call or visit in person. Whether you are visiting to gather information, search for a new or pre-owned vehicle, we hope to provide the highest level of assistance. Please feel free to request additional information or set up an appointment. We're here to make your shopping simple. Horsepower calculations based on trim engine configuration. Fuel economy calculations based on original manufacturer data for trim engine configuration. Please confirm the accuracy of the included equipment by calling us prior to purchase. Offer is valid through 2019-04-24.Moonroof, iPod/MP3 Input, Flex Fuel, CD Player, Onboard Communications System, Remote Engine Start, Back-Up Camera, LED HEADLAMPS, SMARTPHONE INTEGRATION, CONVENIENCE PACKAGE, PANORAMA SUNROOF, PREMIUM PACKAGE, Full-Time 4MATIC® All-Wheel Drive, Turbo Charged, WHEELS: 17 5-SPOKE ALLOY, Aluminum Wheels. CLA 250 trim, Jupiter Red exterior and Crystal Grey interior. FUEL EFFICIENT 32 MPG Hwy/24 MPG City! CLICK NOW! Full-Time 4MATIC® All-Wheel Drive, Back-Up Camera, Turbocharged, Flex Fuel, iPod/MP3 Input, CD Player, Onboard Communications System, Remote Engine Start, Dual Zone A/C. MP3 Player, Steering Wheel Controls, Child Safety Locks, Electronic Stability Control, Heated Mirrors. PREMIUM PACKAGE KEYLESS GO®, Blind Spot Assist, Heated Front Seats, SiriusXM Satellite Radio, HANDS-FREE ACCESS, PANORAMA SUNROOF, LED HEADLAMPS, CONVENIENCE PACKAGE Garage Door Opener, Auto-Dimming Rearview & Driver-Side Mirrors, SMARTPHONE INTEGRATION Android Auto, Apple CarPlay, Smartphone Integration (14U), WHEELS: 17 5-SPOKE ALLOY (STD). Mercedes-Benz CLA 250 with Jupiter Red exterior and Crystal Grey interior features a 4 Cylinder Engine with 208 HP at 5500 RPM*. Discount over $4,300 with lease payment of $449 with $2999 down with approved credit, Power Liftgate, Remote Engine Start, Dual Zone A/C, CD Player, EPA 31 MPG Hwy/23 MPG City! GLA 250 trim, Polar White exterior and Crystal Grey interior SEE MORE! KEY FEATURES INCLUDE Full-Time 4MATIC® All-Wheel Drive, Power Liftgate, Turbocharged, Flex Fuel, iPod/MP3 Input, CD Player, Onboard Communications System, Remote Engine Start, Dual Zone A/C. Rear Spoiler, MP3 Player, Privacy Glass, Child Safety Locks, Steering Wheel Controls. OPTION PACKAGES PREMIUM PACKAGE KEYLESS GO®, Blind Spot Assist, Heated Front Seats, SIRIUSXM Satellite Radio, HANDS-FREE ACCESS, DRIVER ASSISTANCE PACKAGE Active Distance Assist DISTRONIC®, Lane Keeping Assist, PANORAMA SUNROOF, PARKING ASSIST PACKAGE Surround View System, Parking Pilot, Power Folding Exterior Mirrors, FULL LED HEADLAMPS, WHEELS: 19 5-TWIN-SPOKE, MATTE BLACK Tires: 235/45R19 All-Season, CONVENIENCE PACKAGE Garage Door Opener, Auto-Dimming Rearview & Driver-Side Mirrors, SMARTPHONE INTEGRATION Android Auto, Apple CarPlay, Smartphone Integration (14U), BLACK ASH MATTE WOOD TRIM. Mercedes-Benz GLA 250 with Polar White exterior and Crystal Grey interior features a 4 Cylinder Engine with 208 HP at 5500 RPM*. VEHICLE REVIEWS Great Gas Mileage: 31 MPG Hwy. WHY BUY FROM US Welcome to Mercedes-Benz of Colorado Springs. Thank you for taking a moment to view this vehicle. We are one click away for a live chat, send an email, call or visit in person. Whether you are visiting to gather information, search for a new or pre-owned vehicle, we hope to provide the highest level of assistance. Please feel free to request additional information or set up an appointment. We're here to make your shopping simple. Horsepower calculations based on trim engine configuration. Fuel economy calculations based on original manufacturer data for trim engine configuration. Please confirm the accuracy of the included equipment by calling us prior to purchase. Offer is valid through 2019-04-24.Discount over $4,300 with lease payment of $449 with $2999 down with approved credit, Power Liftgate, Remote Engine Start, Dual Zone A/C, CD Player, EPA 31 MPG Hwy/23 MPG City! GLA 250 trim, Polar White exterior and Crystal Grey interior SEE MORE! CD Player, iPod/MP3 Input, Onboard Communications System, Dual Zone A/C, Remote Engine Start, Flex Fuel, FULL LED HEADLAMPS. FUEL EFFICIENT 31 MPG Hwy/23 MPG City! Night Black exterior and Black interior, GLA 250 trim CLICK NOW! KEY FEATURES INCLUDE Full-Time 4MATIC® All-Wheel Drive, Power Liftgate, Back-Up Camera, Turbocharged, Flex Fuel, iPod/MP3 Input, CD Player, Onboard Communications System, Remote Engine Start, Dual Zone A/C Rear Spoiler, MP3 Player, Privacy Glass, Child Safety Locks, Steering Wheel Controls. OPTION PACKAGES PREMIUM PACKAGE KEYLESS GO®, Blind Spot Assist, Heated Front Seats, SIRIUSXM Satellite Radio, HANDS-FREE ACCESS, FULL LED HEADLAMPS, WHEELS: 19 5-TWIN-SPOKE, MATTE BLACK Tires: 235/45R19 All-Season, CONVENIENCE PACKAGE Garage Door Opener, Auto-Dimming Rearview & Driver-Side Mirrors, SMARTPHONE INTEGRATION Android Auto, Apple CarPlay, Smartphone Integration (14U). Mercedes-Benz GLA 250 with Night Black exterior and Black interior features a 4 Cylinder Engine with 208 HP at 5500 RPM*. VEHICLE REVIEWS Great Gas Mileage: 31 MPG Hwy. WHO WE ARE Welcome to Mercedes-Benz of Colorado Springs. Thank you for taking a moment to view this vehicle. We are one click away for a live chat, send an email, call or visit in person. Whether you are visiting to gather information, search for a new or pre-owned vehicle, we hope to provide the highest level of assistance. Please feel free to request additional information or set up an appointment. We're here to make your shopping simple. Horsepower calculations based on trim engine configuration. Fuel economy calculations based on original manufacturer data for trim engine configuration. Please confirm the accuracy of the included equipment by calling us prior to purchase. Offer is valid through 2019-04-24.CD Player, iPod/MP3 Input, Onboard Communications System, Dual Zone A/C, Remote Engine Start, Flex Fuel, FULL LED HEADLAMPS. FUEL EFFICIENT 31 MPG Hwy/23 MPG City! Night Black exterior and Black interior, GLA 250 trim CLICK NOW! Iridium Silver Metallic exterior and Black interior, GLA 250 trim. CD Player, iPod/MP3 Input, Onboard Communications System, Dual Zone A/C, Remote Engine Start, Flex Fuel, FULL LED HEADLAMPS, SMARTPHONE INTEGRATION, CONVENIENCE PACKAGE, WHEELS: 19 5-TWIN-SPOKE, MATTE BLACK... PREMIUM PACKAGE, Back-Up Camera, Power Liftgate, Turbo Charged Engine, Full-Time 4MATIC® All-Wheel Drive. FUEL EFFICIENT 31 MPG Hwy/23 MPG City! SEE MORE! KEY FEATURES INCLUDE Full-Time 4MATIC® All-Wheel Drive, Power Liftgate, Back-Up Camera, Turbocharged, Flex Fuel, iPod/MP3 Input, CD Player, Onboard Communications System, Remote Engine Start, Dual Zone A/C Rear Spoiler, MP3 Player, Privacy Glass, Child Safety Locks, Steering Wheel Controls. OPTION PACKAGES PREMIUM PACKAGE KEYLESS GO®, Blind Spot Assist, Heated Front Seats, SIRIUSXM Satellite Radio, HANDS-FREE ACCESS, FULL LED HEADLAMPS, WHEELS: 19 5-TWIN-SPOKE, MATTE BLACK Tires: 235/45R19 All-Season, CONVENIENCE PACKAGE Garage Door Opener, Auto-Dimming Rearview & Driver-Side Mirrors, SMARTPHONE INTEGRATION Android Auto, Apple CarPlay, Smartphone Integration (14U). Mercedes-Benz GLA 250 with Iridium Silver Metallic exterior and Black interior features a 4 Cylinder Engine with 208 HP at 5500 RPM*. VEHICLE REVIEWS Great Gas Mileage: 31 MPG Hwy. BUY FROM AN AWARD WINNING DEALER Welcome to Mercedes-Benz of Colorado Springs. Thank you for taking a moment to view this vehicle. We are one click away for a live chat, send an email, call or visit in person. Whether you are visiting to gather information, search for a new or pre-owned vehicle, we hope to provide the highest level of assistance. Please feel free to request additional information or set up an appointment. We're here to make your shopping simple. Horsepower calculations based on trim engine configuration. Fuel economy calculations based on original manufacturer data for trim engine configuration. Please confirm the accuracy of the included equipment by calling us prior to purchase. Offer is valid through 2019-04-24.Iridium Silver Metallic exterior and Black interior, GLA 250 trim. CD Player, iPod/MP3 Input, Onboard Communications System, Dual Zone A/C, Remote Engine Start, Flex Fuel, FULL LED HEADLAMPS, SMARTPHONE INTEGRATION, CONVENIENCE PACKAGE, WHEELS: 19 5-TWIN-SPOKE, MATTE BLACK... PREMIUM PACKAGE, Back-Up Camera, Power Liftgate, Turbo Charged Engine, Full-Time 4MATIC® All-Wheel Drive. FUEL EFFICIENT 31 MPG Hwy/23 MPG City! SEE MORE! Moonroof, Flex Fuel, CD Player, iPod/MP3 Input, Dual Zone A/C, Remote Engine Start, Onboard Communications System, SMARTPHONE INTEGRATION, BURL WALNUT WOOD TRIM, LED HEADLAMPS, CONVENIENCE PACKAGE, PANORAMA SUNROOF, Back-Up Camera, Full-Time 4MATIC® All-Wheel Drive, Turbo Charged Engine, PREMIUM PACKAGE, WHEELS: 18 5-SPOKE ALLOY. Polar White exterior and Sahara Beige interior, CLA 250 trim. EPA 32 MPG Hwy/24 MPG City! CLICK ME! KEY FEATURES INCLUDE Full-Time 4MATIC® All-Wheel Drive, Back-Up Camera, Turbocharged, Flex Fuel, iPod/MP3 Input, CD Player, Onboard Communications System, Remote Engine Start, Dual Zone A/C MP3 Player, Steering Wheel Controls, Child Safety Locks, Heated Mirrors, Electronic Stability Control. OPTION PACKAGES PREMIUM PACKAGE KEYLESS GO®, Blind Spot Assist, Heated Front Seats, SiriusXM Satellite Radio, HANDS-FREE ACCESS, PANORAMA SUNROOF, LED HEADLAMPS, WHEELS: 18 5-SPOKE ALLOY Tires: P225/40R18, CONVENIENCE PACKAGE Garage Door Opener, Auto-Dimming Rearview & Driver-Side Mirrors, SMARTPHONE INTEGRATION Android Auto, Apple CarPlay, Smartphone Integration (14U), BURL WALNUT WOOD TRIM. Mercedes-Benz CLA 250 with Polar White exterior and Sahara Beige interior features a 4 Cylinder Engine with 208 HP at 5500 RPM*. BUY FROM AN AWARD WINNING DEALER Welcome to Mercedes-Benz of Colorado Springs. Thank you for taking a moment to view this vehicle. We are one click away for a live chat, send an email, call or visit in person. Whether you are visiting to gather information, search for a new or pre-owned vehicle, we hope to provide the highest level of assistance. Please feel free to request additional information or set up an appointment. We're here to make your shopping simple. Horsepower calculations based on trim engine configuration. Fuel economy calculations based on original manufacturer data for trim engine configuration. Please confirm the accuracy of the included equipment by calling us prior to purchase. Offer is valid through 2019-04-24.Moonroof, Flex Fuel, CD Player, iPod/MP3 Input, Dual Zone A/C, Remote Engine Start, Onboard Communications System, SMARTPHONE INTEGRATION, BURL WALNUT WOOD TRIM, LED HEADLAMPS, CONVENIENCE PACKAGE, PANORAMA SUNROOF, Back-Up Camera, Full-Time 4MATIC® All-Wheel Drive, Turbo Charged Engine, PREMIUM PACKAGE, WHEELS: 18 5-SPOKE ALLOY. Polar White exterior and Sahara Beige interior, CLA 250 trim. EPA 32 MPG Hwy/24 MPG City! CLICK ME! GLA 250 trim. Remote Engine Start, Onboard Communications System, Smart Device Integration, Dual Zone A/C, Full-Time 4MATIC® All-Wheel Drive, Power Liftgate, Aluminum Wheels, Turbo Charged, CD Player, iPod/MP3 Input, Back-Up Camera, Flex Fuel. FUEL EFFICIENT 31 MPG Hwy/23 MPG City! CLICK NOW! KEY FEATURES INCLUDE Full-Time 4MATIC® All-Wheel Drive, Power Liftgate, Back-Up Camera, Turbocharged, Flex Fuel, iPod/MP3 Input, CD Player, Onboard Communications System, Aluminum Wheels, Remote Engine Start, Dual Zone A/C, Smart Device Integration Rear Spoiler, MP3 Player, Keyless Entry, Remote Trunk Release, Privacy Glass. EXPERTS REPORT Great Gas Mileage: 31 MPG Hwy. MORE ABOUT US Welcome to Mercedes-Benz of Colorado Springs. Thank you for taking a moment to view this vehicle. We are one click away for a live chat, send an email, call or visit in person. Whether you are visiting to gather information, search for a new or pre-owned vehicle, we hope to provide the highest level of assistance. Please feel free to request additional information or set up an appointment. We're here to make your shopping simple. Fuel economy calculations based on original manufacturer data for trim engine configuration. Please confirm the accuracy of the included equipment by calling us prior to purchase. Offer is valid through 2019-04-24.GLA 250 trim. Remote Engine Start, Onboard Communications System, Smart Device Integration, Dual Zone A/C, Full-Time 4MATIC® All-Wheel Drive, Power Liftgate, Aluminum Wheels, Turbo Charged, CD Player, iPod/MP3 Input, Back-Up Camera, Flex Fuel. FUEL EFFICIENT 31 MPG Hwy/23 MPG City! CLICK NOW! Sunroof, Flex Fuel, Back-Up Camera, iPod/MP3 Input, CD Player, Onboard Communications System, Power Liftgate, FULL LED HEADLAMPS. Jupiter Red exterior and Sahara Beige interior, GLA 250 trim. FUEL EFFICIENT 31 MPG Hwy/23 MPG City! AND MORE! KEY FEATURES INCLUDE Full-Time 4MATIC® All-Wheel Drive, Power Liftgate, Back-Up Camera, Turbocharged, Flex Fuel, iPod/MP3 Input, CD Player, Onboard Communications System, Aluminum Wheels, Remote Engine Start, Dual Zone A/C Rear Spoiler, MP3 Player, Privacy Glass, Steering Wheel Controls, Child Safety Locks. OPTION PACKAGES PREMIUM PACKAGE KEYLESS GO®, Blind Spot Assist, Heated Front Seats, SIRIUSXM Satellite Radio, HANDS-FREE ACCESS, PANORAMA SUNROOF, FULL LED HEADLAMPS, CONVENIENCE PACKAGE Garage Door Opener, Auto-Dimming Rearview & Driver-Side Mirrors, SMARTPHONE INTEGRATION Android Auto, Apple CarPlay, Smartphone Integration (14U), SATIN BROWN POPLAR WOOD TRIM. Mercedes-Benz GLA 250 with Jupiter Red exterior and Sahara Beige interior features a 4 Cylinder Engine with 208 HP at 5500 RPM*. EXPERTS ARE SAYING Great Gas Mileage: 31 MPG Hwy. MORE ABOUT US Welcome to Mercedes-Benz of Colorado Springs. Thank you for taking a moment to view this vehicle. We are one click away for a live chat, send an email, call or visit in person. Whether you are visiting to gather information, search for a new or pre-owned vehicle, we hope to provide the highest level of assistance. Please feel free to request additional information or set up an appointment. We're here to make your shopping simple. Horsepower calculations based on trim engine configuration. Fuel economy calculations based on original manufacturer data for trim engine configuration. Please confirm the accuracy of the included equipment by calling us prior to purchase. Offer is valid through 2019-04-24.Sunroof, Flex Fuel, Back-Up Camera, iPod/MP3 Input, CD Player, Onboard Communications System, Power Liftgate, FULL LED HEADLAMPS. Jupiter Red exterior and Sahara Beige interior, GLA 250 trim. FUEL EFFICIENT 31 MPG Hwy/23 MPG City! AND MORE! Moonroof, Back-Up Camera, Flex Fuel, iPod/MP3 Input, Onboard Communications System, CD Player, Power Liftgate, FULL LED HEADLAMPS, SMARTPHONE INTEGRATION, CONVENIENCE PACKAGE, PANORAMA SUNROOF, SATIN BROWN POPLAR WOOD TRIM, Full-Time 4MATIC® All-Wheel Drive, Turbo Charged, PREMIUM PACKAGE, Aluminum Wheels. EPA 31 MPG Hwy/23 MPG City! GLA 250 trim, Jupiter Red exterior and Sahara Beige interior. CLICK ME! KEY FEATURES INCLUDE Full-Time 4MATIC® All-Wheel Drive, Power Liftgate, Back-Up Camera, Turbocharged, Flex Fuel, iPod/MP3 Input, CD Player, Onboard Communications System, Aluminum Wheels, Remote Engine Start, Dual Zone A/C. Rear Spoiler, MP3 Player, Privacy Glass, Steering Wheel Controls, Child Safety Locks. OPTION PACKAGES PREMIUM PACKAGE KEYLESS GO®, Blind Spot Assist, Heated Front Seats, SIRIUSXM Satellite Radio, HANDS-FREE ACCESS, PANORAMA SUNROOF, FULL LED HEADLAMPS, CONVENIENCE PACKAGE Garage Door Opener, Auto-Dimming Rearview & Driver-Side Mirrors, SMARTPHONE INTEGRATION Android Auto, Apple CarPlay, Smartphone Integration (14U), SATIN BROWN POPLAR WOOD TRIM. Mercedes-Benz GLA 250 with Jupiter Red exterior and Sahara Beige interior features a 4 Cylinder Engine with 208 HP at 5500 RPM*. EXPERTS REPORT Great Gas Mileage: 31 MPG Hwy. MORE ABOUT US Welcome to Mercedes-Benz of Colorado Springs. Thank you for taking a moment to view this vehicle. We are one click away for a live chat, send an email, call or visit in person. Whether you are visiting to gather information, search for a new or pre-owned vehicle, we hope to provide the highest level of assistance. Please feel free to request additional information or set up an appointment. We're here to make your shopping simple. Horsepower calculations based on trim engine configuration. Fuel economy calculations based on original manufacturer data for trim engine configuration. Please confirm the accuracy of the included equipment by calling us prior to purchase. Offer is valid through 2019-04-24.Moonroof, Back-Up Camera, Flex Fuel, iPod/MP3 Input, Onboard Communications System, CD Player, Power Liftgate, FULL LED HEADLAMPS, SMARTPHONE INTEGRATION, CONVENIENCE PACKAGE, PANORAMA SUNROOF, SATIN BROWN POPLAR WOOD TRIM, Full-Time 4MATIC® All-Wheel Drive, Turbo Charged, PREMIUM PACKAGE, Aluminum Wheels. EPA 31 MPG Hwy/23 MPG City! GLA 250 trim, Jupiter Red exterior and Sahara Beige interior. CLICK ME! CLA 250 trim, Night Black exterior and Crystal Grey interior. iPod/MP3 Input, Flex Fuel, Back-Up Camera, CD Player, Dual Zone A/C, Remote Engine Start, Onboard Communications System, Full-Time 4MATIC® All-Wheel Drive, SMARTPHONE INTEGRATION, DRIVER ASSISTANCE PACKAGE, LED HEADLAMPS, PARKING PILOT, CONVENIENCE PACKAGE, Turbo Charged, Aluminum Wheels, WHEELS: 17 5-SPOKE ALLOY, MATTE BLACK ASH WOOD TRIM, PREMIUM PACKAGE. FUEL EFFICIENT 32 MPG Hwy/24 MPG City! CLICK ME! KEY FEATURES INCLUDE Full-Time 4MATIC® All-Wheel Drive, Back-Up Camera, Turbocharged, Flex Fuel, iPod/MP3 Input, CD Player, Onboard Communications System, Remote Engine Start, Dual Zone A/C. MP3 Player, Steering Wheel Controls, Child Safety Locks, Heated Mirrors, Electronic Stability Control. OPTION PACKAGES PREMIUM PACKAGE KEYLESS GO®, Blind Spot Assist, Heated Front Seats, SiriusXM Satellite Radio, HANDS-FREE ACCESS, DRIVER ASSISTANCE PACKAGE DISTRONIC® PLUS, Lane Keeping Assist, PARKING PILOT, LED HEADLAMPS, CONVENIENCE PACKAGE Garage Door Opener, Auto-Dimming Rearview & Driver-Side Mirrors, SMARTPHONE INTEGRATION Android Auto, Apple CarPlay, Smartphone Integration (14U), MATTE BLACK ASH WOOD TRIM, WHEELS: 17 5-SPOKE ALLOY (STD). EXPERTS RAVE Great Gas Mileage: 32 MPG Hwy. WHY BUY FROM US Welcome to Mercedes-Benz of Colorado Springs. Thank you for taking a moment to view this vehicle. We are one click away for a live chat, send an email, call or visit in person. Whether you are visiting to gather information, search for a new or pre-owned vehicle, we hope to provide the highest level of assistance. Please feel free to request additional information or set up an appointment. We're here to make your shopping simple. Horsepower calculations based on trim engine configuration. Fuel economy calculations based on original manufacturer data for trim engine configuration. Please confirm the accuracy of the included equipment by calling us prior to purchase. Offer is valid through 2019-04-24.CLA 250 trim, Night Black exterior and Crystal Grey interior. iPod/MP3 Input, Flex Fuel, Back-Up Camera, CD Player, Dual Zone A/C, Remote Engine Start, Onboard Communications System, Full-Time 4MATIC® All-Wheel Drive, SMARTPHONE INTEGRATION, DRIVER ASSISTANCE PACKAGE, LED HEADLAMPS, PARKING PILOT, CONVENIENCE PACKAGE, Turbo Charged, Aluminum Wheels, WHEELS: 17 5-SPOKE ALLOY, MATTE BLACK ASH WOOD TRIM, PREMIUM PACKAGE. FUEL EFFICIENT 32 MPG Hwy/24 MPG City! CLICK ME! Full-Time 4MATIC® All-Wheel Drive, Back-Up Camera, Turbocharged, Flex Fuel, iPod/MP3 Input, CD Player, Onboard Communications System, Remote Engine Start, Dual Zone A/C. MP3 Player, Steering Wheel Controls, Child Safety Locks, Heated Mirrors, Electronic Stability Control. PREMIUM PACKAGE KEYLESS GO®, Blind Spot Assist, Heated Front Seats, SiriusXM Satellite Radio, HANDS-FREE ACCESS, DRIVER ASSISTANCE PACKAGE DISTRONIC® PLUS, Lane Keeping Assist, PARKING PILOT, LED HEADLAMPS, CONVENIENCE PACKAGE Garage Door Opener, Auto-Dimming Rearview & Driver-Side Mirrors, SMARTPHONE INTEGRATION Android Auto, Apple CarPlay, Smartphone Integration (14U), MATTE BLACK ASH WOOD TRIM, WHEELS: 17 5-SPOKE ALLOY (STD). GLA 250 trim. EPA 31 MPG Hwy/23 MPG City! Remote Engine Start, Onboard Communications System, Smart Device Integration, Dual Zone A/C, Full-Time 4MATIC® All-Wheel Drive, Power Liftgate, Aluminum Wheels, Turbo Charged Engine, CD Player, iPod/MP3 Input, Back-Up Camera, Flex Fuel. SEE MORE! KEY FEATURES INCLUDE Full-Time 4MATIC® All-Wheel Drive, Power Liftgate, Back-Up Camera, Turbocharged, Flex Fuel, iPod/MP3 Input, CD Player, Onboard Communications System, Aluminum Wheels, Remote Engine Start, Dual Zone A/C, Smart Device Integration Rear Spoiler, MP3 Player, Keyless Entry, Remote Trunk Release, Privacy Glass. EXPERTS RAVE Great Gas Mileage: 31 MPG Hwy. WHO WE ARE Welcome to Mercedes-Benz of Colorado Springs. Thank you for taking a moment to view this vehicle. We are one click away for a live chat, send an email, call or visit in person. Whether you are visiting to gather information, search for a new or pre-owned vehicle, we hope to provide the highest level of assistance. Please feel free to request additional information or set up an appointment. We're here to make your shopping simple. Fuel economy calculations based on original manufacturer data for trim engine configuration. Please confirm the accuracy of the included equipment by calling us prior to purchase. Offer is valid through 2019-04-24.GLA 250 trim. EPA 31 MPG Hwy/23 MPG City! Remote Engine Start, Onboard Communications System, Smart Device Integration, Dual Zone A/C, Full-Time 4MATIC® All-Wheel Drive, Power Liftgate, Aluminum Wheels, Turbo Charged Engine, CD Player, iPod/MP3 Input, Back-Up Camera, Flex Fuel. SEE MORE! Sunroof, iPod/MP3 Input, Flex Fuel, CD Player, Onboard Communications System, Remote Engine Start, Back-Up Camera, WHEELS: 19 5-TWIN-SPOKE, MATTE BLACK... FULL LED HEADLAMPS, CONVENIENCE PACKAGE, PANORAMA SUNROOF, SMARTPHONE INTEGRATION, Power Liftgate, Full-Time 4MATIC® All-Wheel Drive, PREMIUM PACKAGE, Turbo. Night Black exterior and Black interior, GLA 250 trim. EPA 31 MPG Hwy/23 MPG City! READ MORE! KEY FEATURES INCLUDE Full-Time 4MATIC® All-Wheel Drive, Power Liftgate, Back-Up Camera, Turbocharged, Flex Fuel, iPod/MP3 Input, CD Player, Onboard Communications System, Remote Engine Start, Dual Zone A/C Rear Spoiler, MP3 Player, Privacy Glass, Child Safety Locks, Steering Wheel Controls. OPTION PACKAGES PREMIUM PACKAGE KEYLESS GO®, Blind Spot Assist, Heated Front Seats, SIRIUSXM Satellite Radio, HANDS-FREE ACCESS, PANORAMA SUNROOF, FULL LED HEADLAMPS, WHEELS: 19 5-TWIN-SPOKE, MATTE BLACK Tires: 235/45R19 All-Season, CONVENIENCE PACKAGE Garage Door Opener, Auto-Dimming Rearview & Driver-Side Mirrors, SMARTPHONE INTEGRATION Android Auto, Apple CarPlay, Smartphone Integration (14U). Mercedes-Benz GLA 250 with Night Black exterior and Black interior features a 4 Cylinder Engine with 208 HP at 5500 RPM*. EXPERTS REPORT Great Gas Mileage: 31 MPG Hwy. BUY FROM AN AWARD WINNING DEALER Welcome to Mercedes-Benz of Colorado Springs. Thank you for taking a moment to view this vehicle. We are one click away for a live chat, send an email, call or visit in person. Whether you are visiting to gather information, search for a new or pre-owned vehicle, we hope to provide the highest level of assistance. Please feel free to request additional information or set up an appointment. We're here to make your shopping simple. Horsepower calculations based on trim engine configuration. Fuel economy calculations based on original manufacturer data for trim engine configuration. Please confirm the accuracy of the included equipment by calling us prior to purchase. Offer is valid through 2019-04-24.Sunroof, iPod/MP3 Input, Flex Fuel, CD Player, Onboard Communications System, Remote Engine Start, Back-Up Camera, WHEELS: 19 5-TWIN-SPOKE, MATTE BLACK... FULL LED HEADLAMPS, CONVENIENCE PACKAGE, PANORAMA SUNROOF, SMARTPHONE INTEGRATION, Power Liftgate, Full-Time 4MATIC® All-Wheel Drive, PREMIUM PACKAGE, Turbo. Night Black exterior and Black interior, GLA 250 trim. EPA 31 MPG Hwy/23 MPG City! READ MORE! EPA 32 MPG Hwy/24 MPG City! CD Player, iPod/MP3 Input, Flex Fuel, Dual Zone A/C, Remote Engine Start, Onboard Communications System, Back-Up Camera, SMARTPHONE INTEGRATION, DRIVER ASSISTANCE PACKAGE, LED HEADLAMPS, PARKING PILOT, CONVENIENCE PACKAGE, Full-Time 4MATIC® All-Wheel Drive, Turbo, Alloy Wheels, PREMIUM PACKAGE, WHEELS: 17 5-SPOKE ALLOY. Mountain Grey Metallic exterior and Crystal Grey interior, CLA 250 trim. CLICK ME! KEY FEATURES INCLUDE Full-Time 4MATIC® All-Wheel Drive, Back-Up Camera, Turbocharged, Flex Fuel, iPod/MP3 Input, CD Player, Onboard Communications System, Remote Engine Start, Dual Zone A/C. MP3 Player, Child Safety Locks, Steering Wheel Controls, Heated Mirrors, Electronic Stability Control. OPTION PACKAGES PREMIUM PACKAGE KEYLESS GO®, Blind Spot Assist, Heated Front Seats, SiriusXM Satellite Radio, HANDS-FREE ACCESS, DRIVER ASSISTANCE PACKAGE DISTRONIC® PLUS, Lane Keeping Assist, PARKING PILOT, LED HEADLAMPS, CONVENIENCE PACKAGE Garage Door Opener, Auto-Dimming Rearview & Driver-Side Mirrors, SMARTPHONE INTEGRATION Android Auto, Apple CarPlay, Smartphone Integration (14U), WHEELS: 17 5-SPOKE ALLOY (STD). Mercedes-Benz CLA 250 with Mountain Grey Metallic exterior and Crystal Grey interior features a 4 Cylinder Engine with 208 HP at 5500 RPM*. WHO WE ARE Welcome to Mercedes-Benz of Colorado Springs. Thank you for taking a moment to view this vehicle. We are one click away for a live chat, send an email, call or visit in person. Whether you are visiting to gather information, search for a new or pre-owned vehicle, we hope to provide the highest level of assistance. Please feel free to request additional information or set up an appointment. We're here to make your shopping simple. Horsepower calculations based on trim engine configuration. Fuel economy calculations based on original manufacturer data for trim engine configuration. Please confirm the accuracy of the included equipment by calling us prior to purchase. Offer is valid through 2019-04-24.EPA 32 MPG Hwy/24 MPG City! CD Player, iPod/MP3 Input, Flex Fuel, Dual Zone A/C, Remote Engine Start, Onboard Communications System, Back-Up Camera, SMARTPHONE INTEGRATION, DRIVER ASSISTANCE PACKAGE, LED HEADLAMPS, PARKING PILOT, CONVENIENCE PACKAGE, Full-Time 4MATIC® All-Wheel Drive, Turbo, Alloy Wheels, PREMIUM PACKAGE, WHEELS: 17 5-SPOKE ALLOY. Mountain Grey Metallic exterior and Crystal Grey interior, CLA 250 trim. CLICK ME! PREMIUM PACKAGE KEYLESS GO®, Blind Spot Assist, Heated Front Seats, SiriusXM Satellite Radio, HANDS-FREE ACCESS, DRIVER ASSISTANCE PACKAGE DISTRONIC® PLUS, Lane Keeping Assist, PARKING PILOT, LED HEADLAMPS, CONVENIENCE PACKAGE Garage Door Opener, Auto-Dimming Rearview & Driver-Side Mirrors, SMARTPHONE INTEGRATION Android Auto, Apple CarPlay, Smartphone Integration (14U), WHEELS: 17 5-SPOKE ALLOY (STD). Mercedes-Benz CLA 250 with Mountain Grey Metallic exterior and Crystal Grey interior features a 4 Cylinder Engine with 208 HP at 5500 RPM*.